The 2012 holiday season has been quite an unusual year for businesses catering to British holidaymakers thanks to some extraordinary events. Amongst these have been the Queen’s Jubilee celebrations, then the World Olympic Games and Paralympics which seem to have gone on for the whole summer. Events have been taking place across the whole country to tempt holidaymakers into staying in England and enjoying the fun. 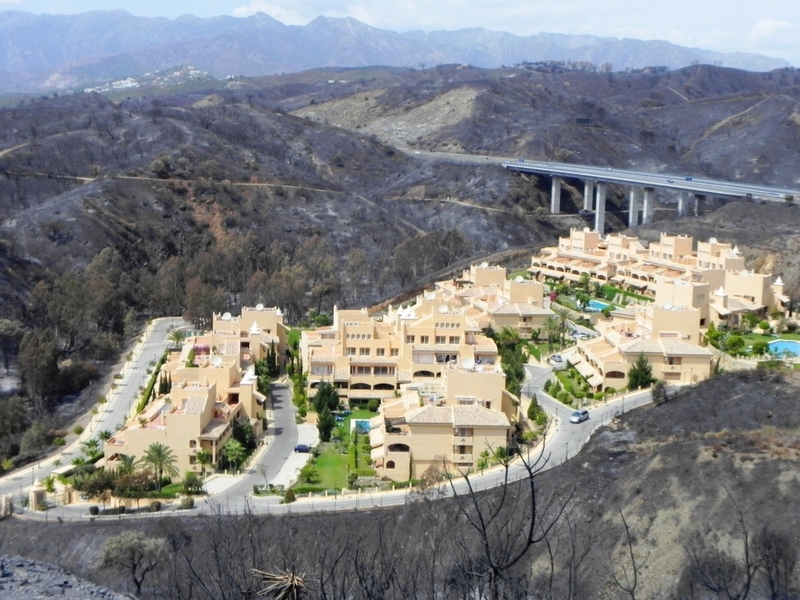 Then there are events that happen quite unexpectedly and can affect holiday rentals for many months or years to come, such as last weeks devastating fires across the Costa del Sol and inland Malaga Province which have directly affected 224 homes and burned 7,775 hectares of the countryside which border many holiday properties and tourist areas. So as the owner of a holiday rental business, what can you do to ensure your business stays strong through unusual events which affect holidaying patterns? We have listed just a few ideas below and would love to hear your own so please do share in the comments at the bottom of the page. If there is a really interesting event happening in your target market´s country, then why not carry on the theme and fun in your holiday property too? This will need some forward planning but you can be as creative as you like with it. One small example we found was this fabulous London themed welcome basket put together by the owner of Marsh View Cottages in Camber Sands – she makes up her welcome baskets each week after checking ages of children and trying to stick to the local theme for the time of year. Again, with a little advance planning you can add some publicity about your offering to your website or rental listing well in advance of the event. This will help potential guests to know that they can still enjoy the event when staying with you. So, if you are planning a special service (like these welcome baskets for example) then get some marketing photos and some blurb put up during your peak booking season to attract your guests to book. Think also about the facilities you have to allow guests to continue the fun when on holiday – for big sports events you might want to tell guests about your fantastic large-screen TV & Satellite system, or the bikes or golf clubs you offer free of charge. You can also try an “added value” approach by arranging discounts or freebies for local attractions during these “special dates”. What about unexpected events with a less positive slant? It is quite easy to plan your marketing drive for a regular or known special event, but when things happen unexpectedly such as forest fires or floods, then how do you respond? The most important thing is to provide reassurance for your guests who have already booked and indeed for those thinking of booking. If you are still able to accept bookings then you could consider sending out a email message to your database of enquirers (we hope you have been keeping all those valuable email addresses!) to let them know a bit about what happened and that they can still come and enjoy your fabulous holiday property. You can even take the opportunity to tell them about the ways in which tourism can help the recovery process if relevant. People these days want to be conscious travellers and would probably welcome information on how they can “give something back” so be sure to let them know. This is where having your own website (and blog) really comes into its own, as you can post updates that informs people about the facts straight from someone on the ground (as the British press often does not). You can use your blog as a platform to share stories of positivity that people love to read and want to be a part of. Speaking from the experience of the Spanish fires, the community of the Costa del Sol came together in the most amazing way across social media networks, first organising an SOS volunteers group, then a dedicated website and now fund raising concerts are being held for people to give something to the affected areas. Holiday business 0wners almost have a responsibility to spread awareness for such efforts in their regions, whether via your social media, website, blog, email marketing or even by adding a note or a website link to the emails you send responding to enquiries. Any area hit by a crisis desperately needs tourists to come and spend money, and the visitors in turn welcome reading about events as they unfold and learning how they can help once they arrive on holiday. Your marketing message can be one of positivity and encouraging people to come in spite of what happened.